The rise in tolls for the Sir Leo Hielscher Bridges was too expensive, two out of three respondents to a NewsBytes survey said today. The toll for the bridges will rise to $3.85 for a private car on July 1. In a poll of 100 people at the opening of the second bridge, 67 said the new toll was too expensive, 34 said it was reasonable and only one person said it was cheap compared to other cities. Main Roads Minister Craig Wallace said the bridges would be among the cheapest toll roads in Australia, based on the length of journey. He said the fact that 280,000 motorists used the single bridge in operation on Easter Thursday this year showed the toll road operating then was successful. He also said the bridge was needed for future growth. 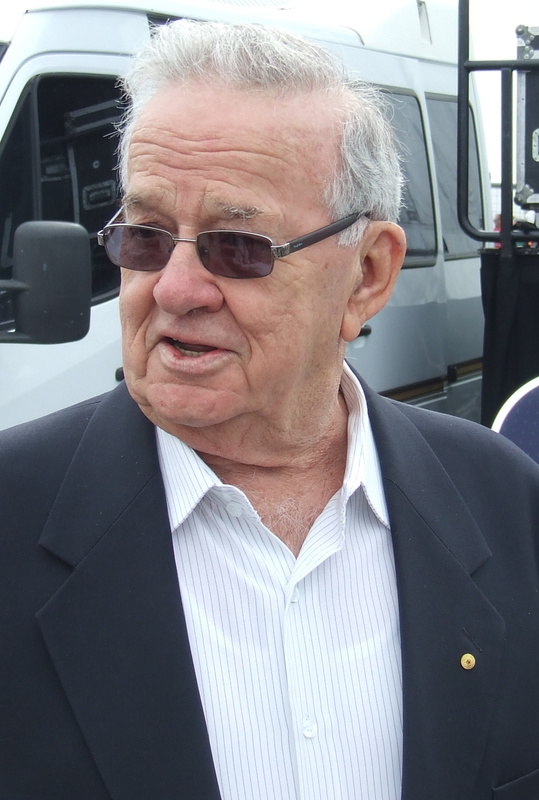 But the man after whom the bridges were named, former Treasury head Sir Leo Hielscher, said people often didn’t understand the issues in funding major infrastructure. 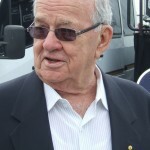 “It’s all very well paying $200 million for a bridge, but then you’ve got to pay it back,” Sir Leo told NewsBytes. “So how are you going to pay it back? You can pay it back by taxation, or by the people who use it. “The other alternative is not to have it at all. And see what sort of a mess it would be if we didn’t have it at all”. Sir Leo said it was difficult to explain the cost of infrastructure to the public. He also said if money for the $1.8bn project was borrowed at 10 percent interest, the interest alone would cost $180 million each year.